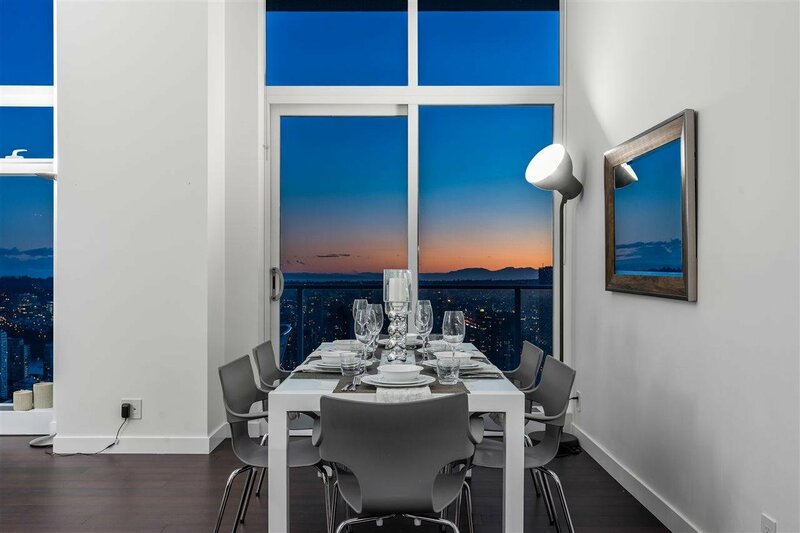 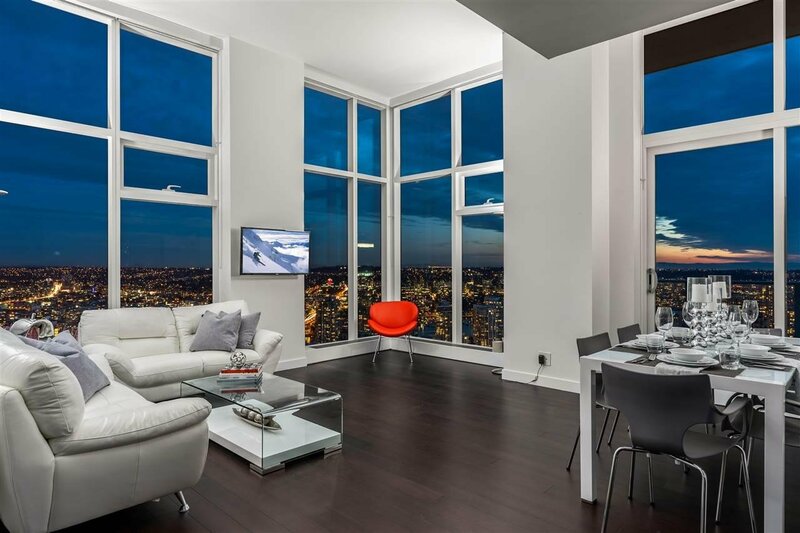 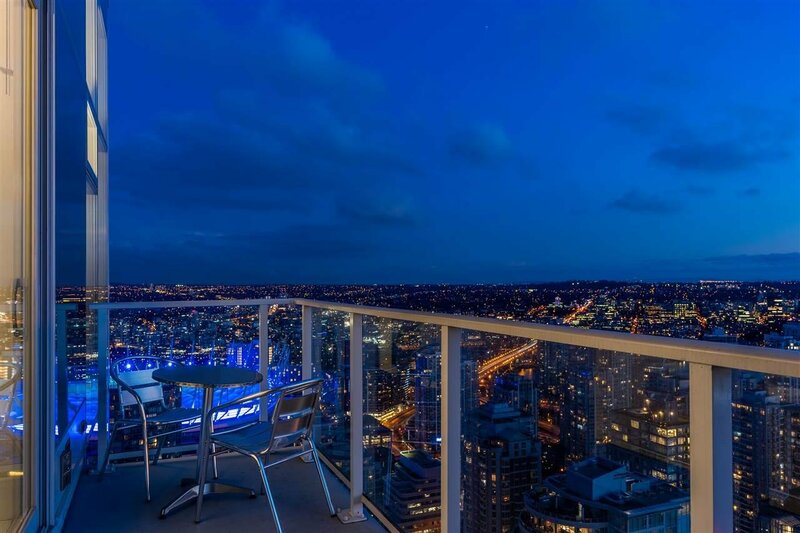 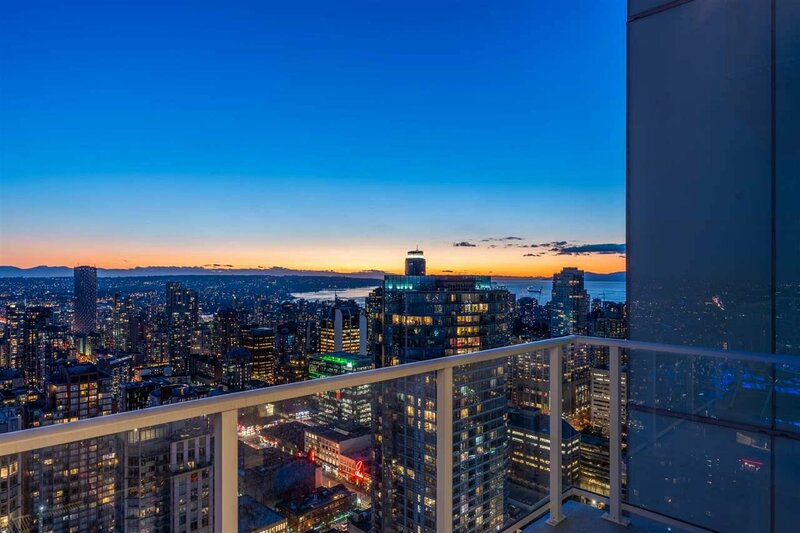 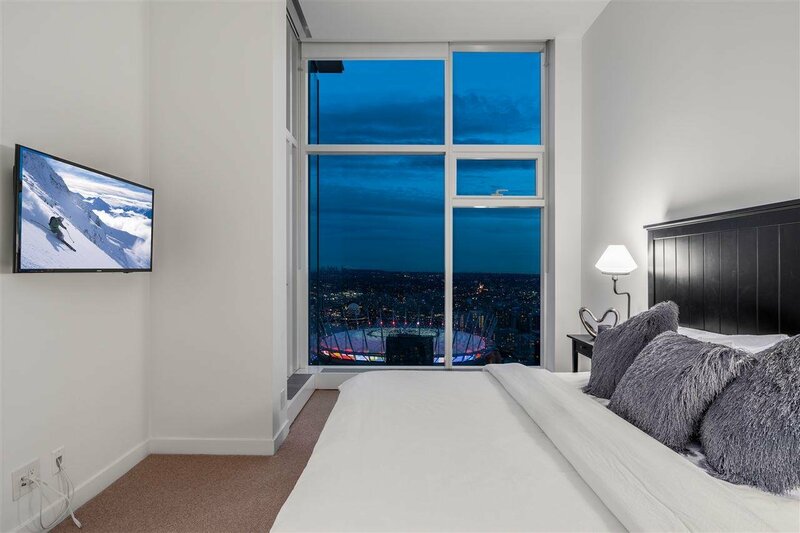 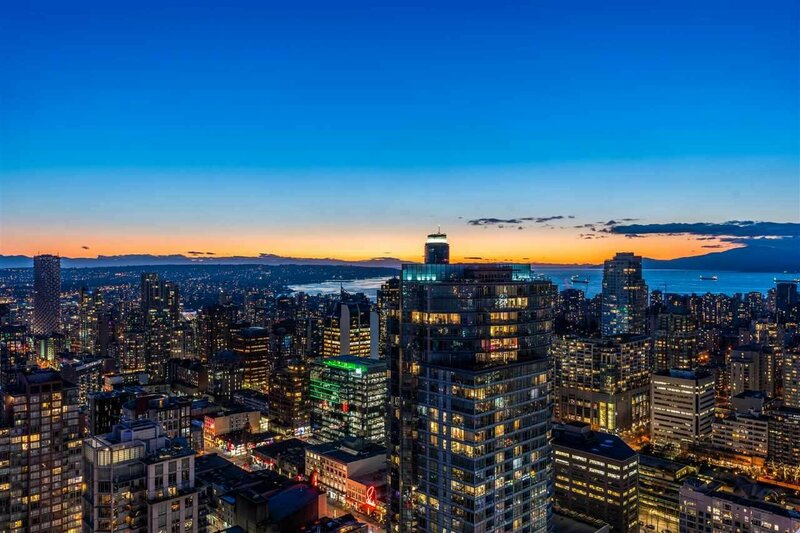 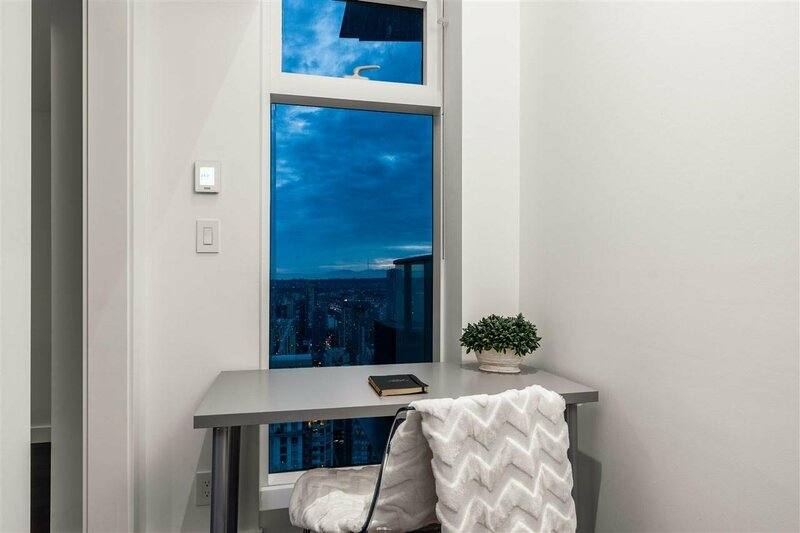 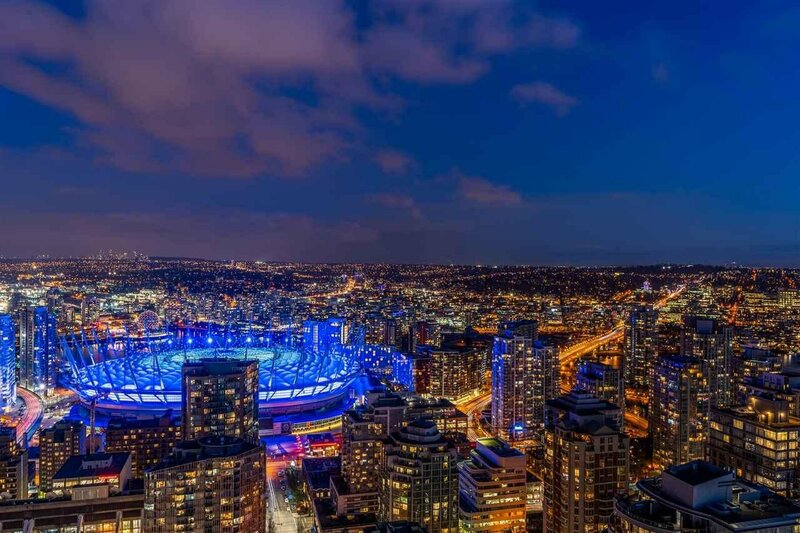 Sleek and modern 50th floor SUB PENTHOUSE with 12 FOOT CEILINGS over looking the city, ocean and mountains in the heart of Vancouver's most desirable building Telus Garden. 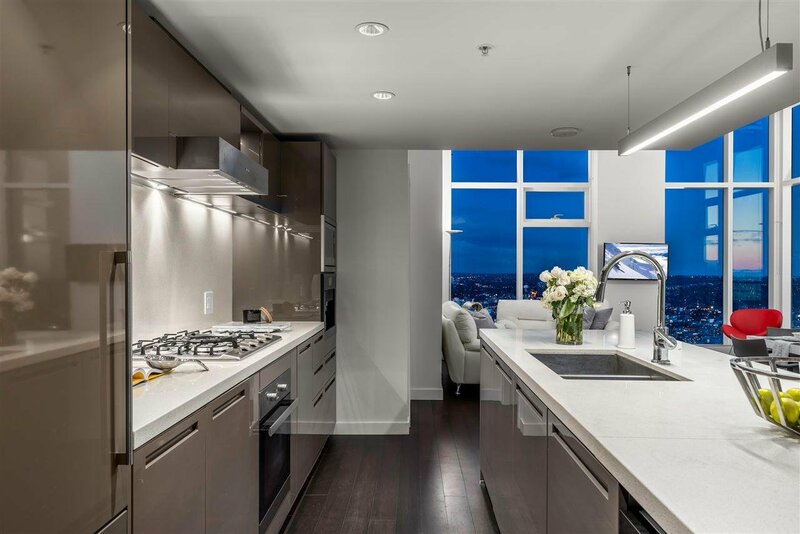 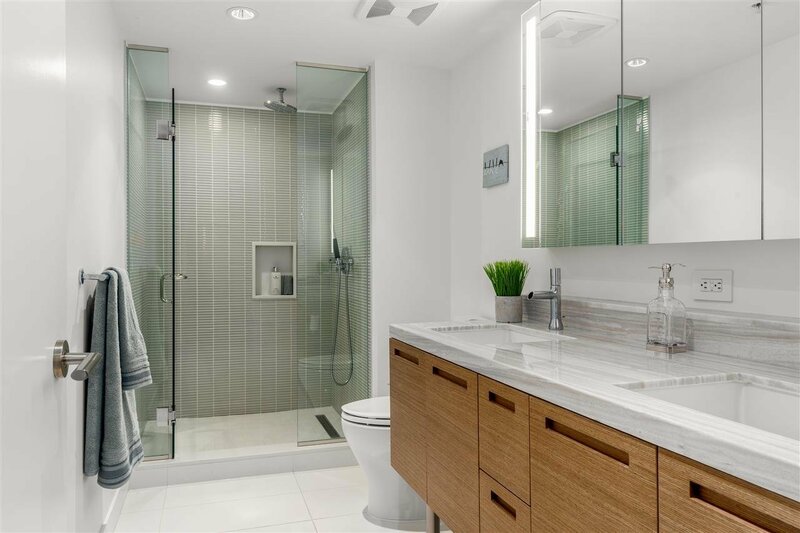 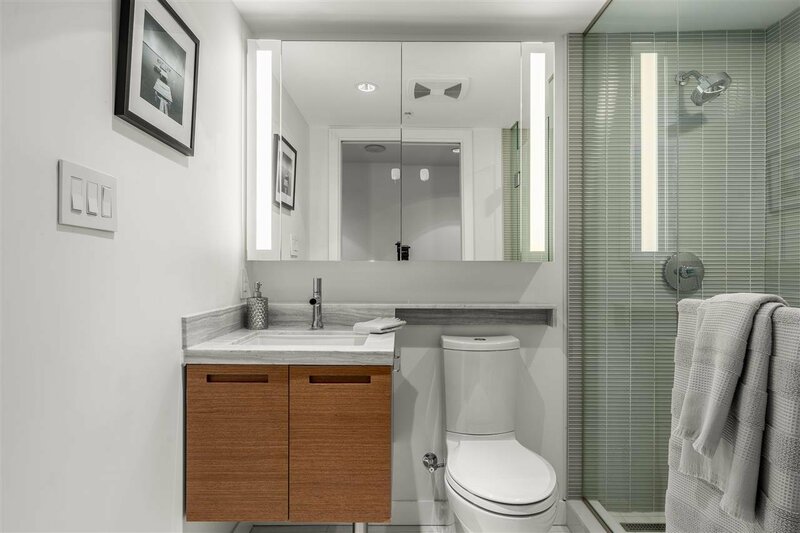 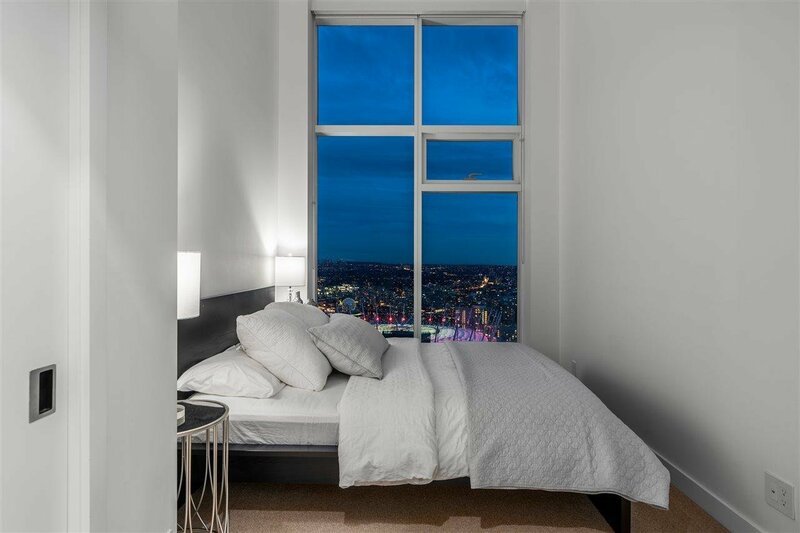 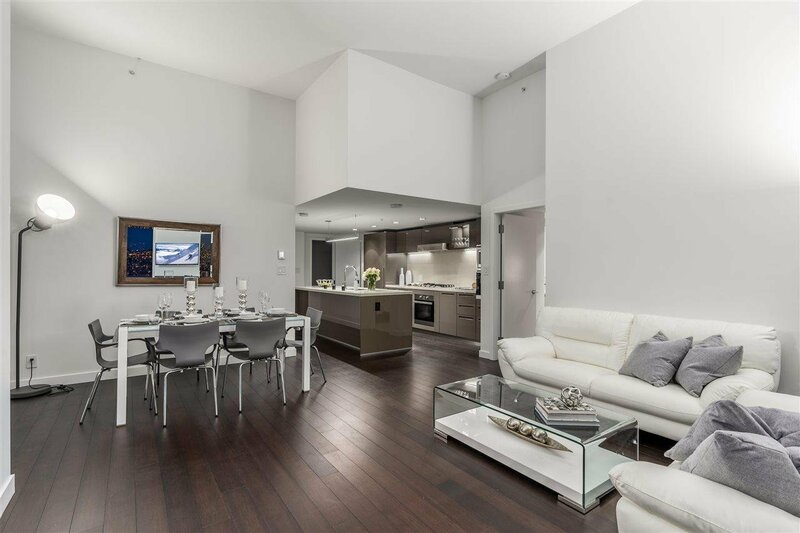 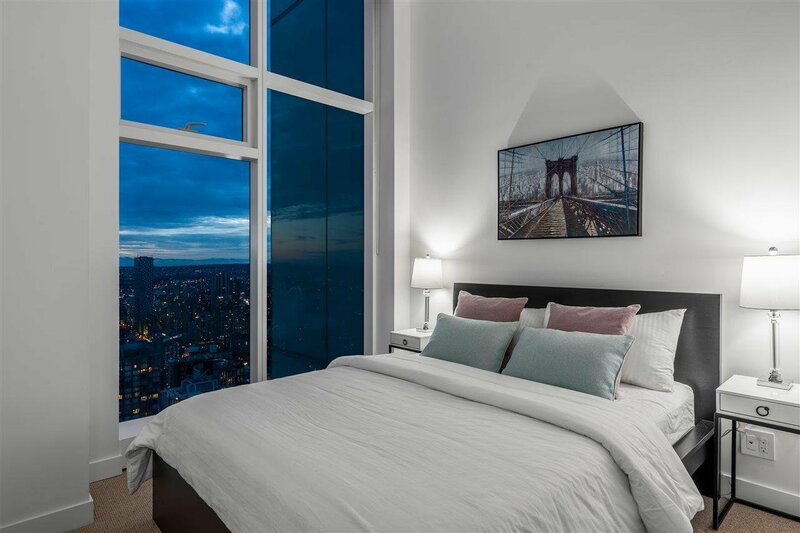 This modern 3 bedroom, 3 bathroom and den estate comes with over 1,500 square feet of luxurious interior space, bamboo H/W floors, gourmet kitchen, top quality finishes, designer Miele appliances & separate private bedrooms surrounded by breathtaking city, mountain & water views. 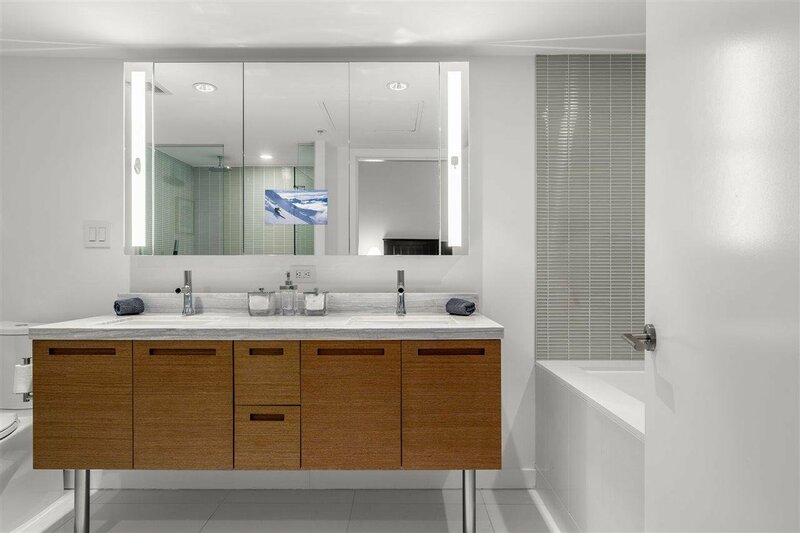 Amenities include: outdoor swimming pool, dog park, state of the art gym, sauna, 24 hours concierge & 2 private parking stalls are included. 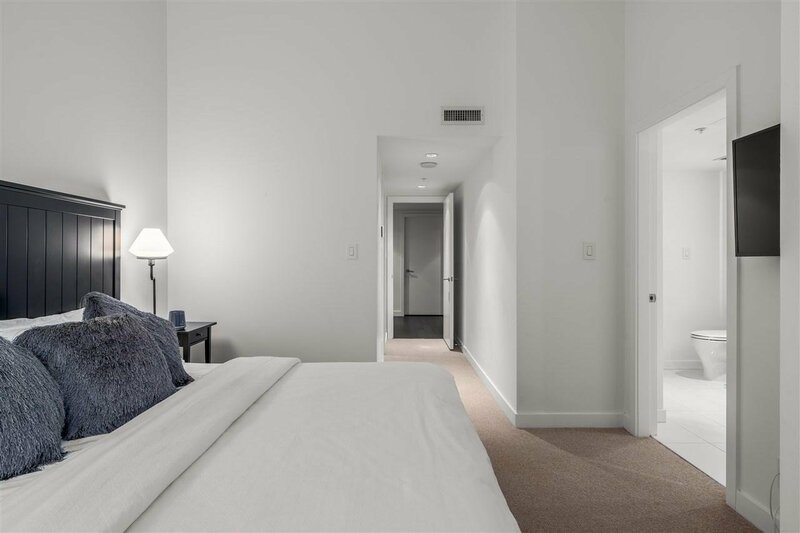 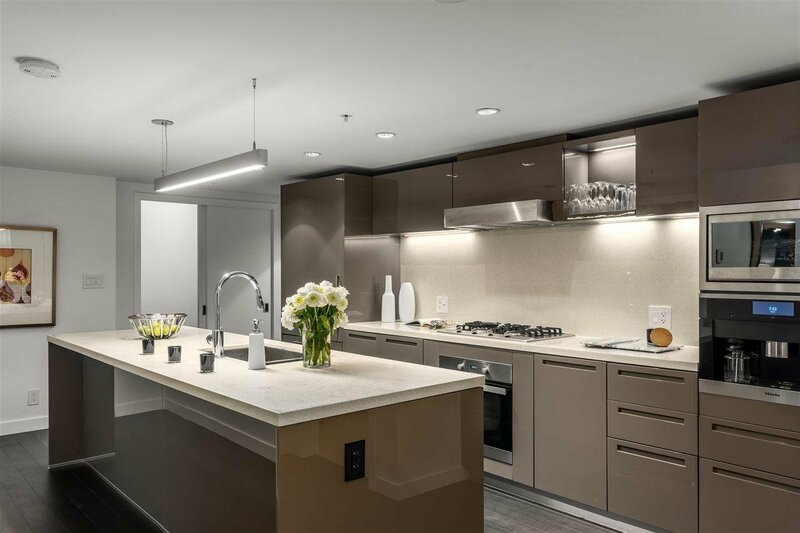 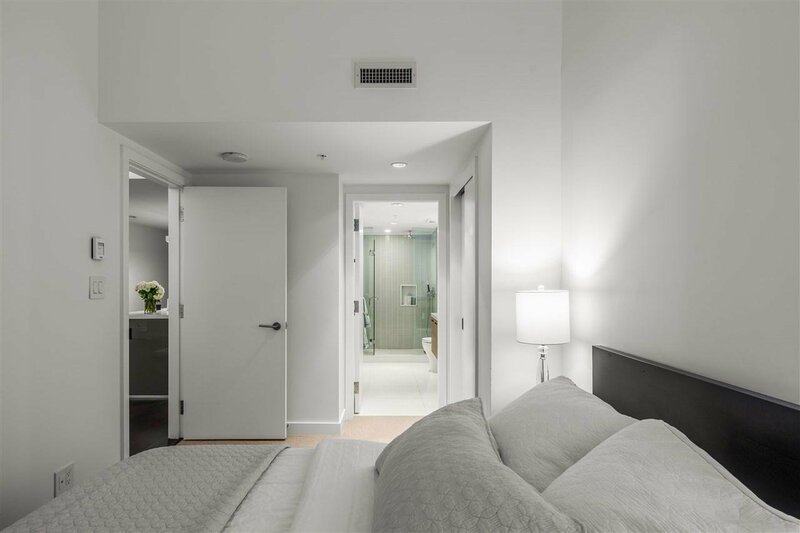 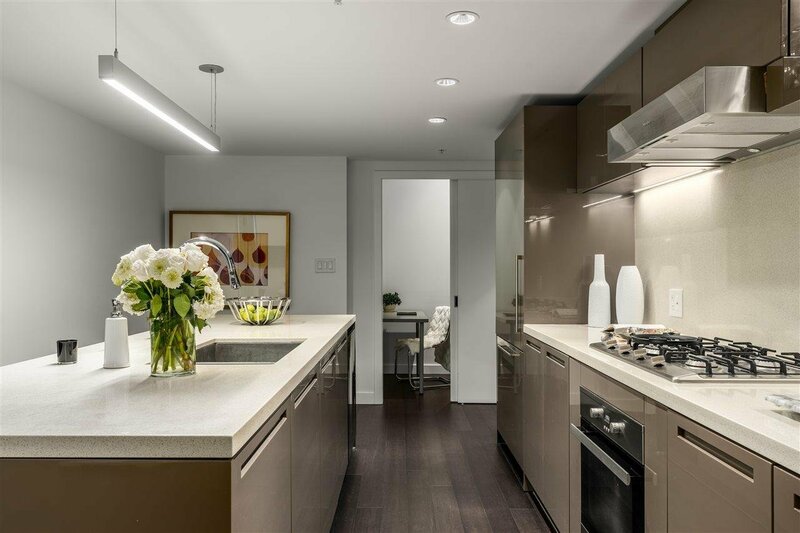 Located steps from several award winning restaurants and every amenity imaginable is what downtown living is all about.